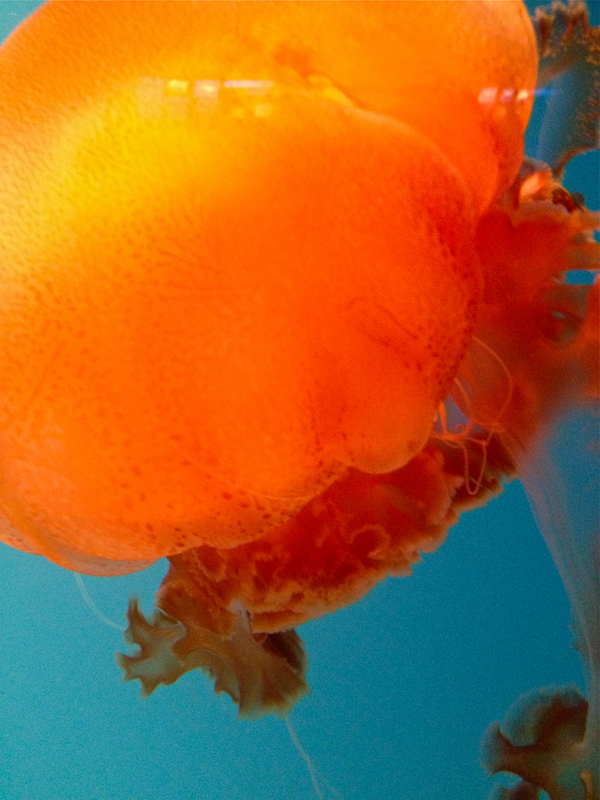 They are 95% water but jellies – ancient marine invertebrates – never cease to fascinate me! 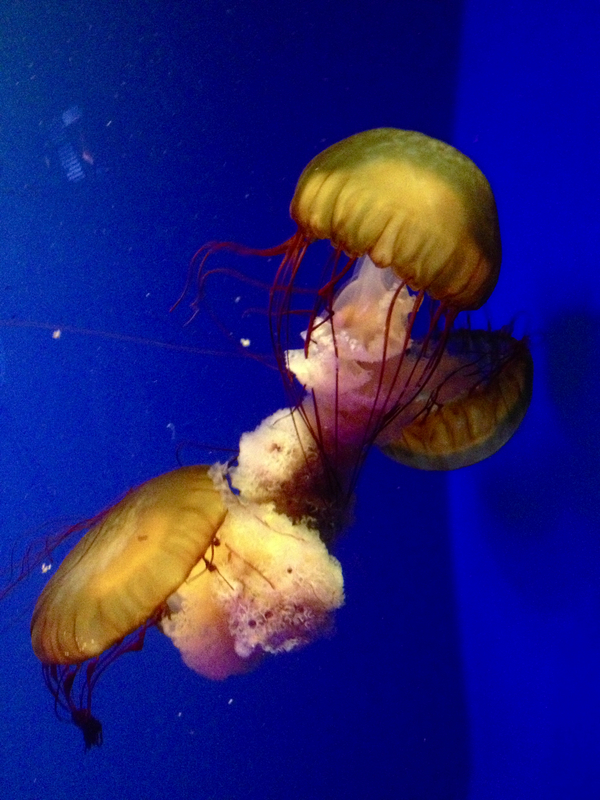 These are a few snapshots I took recently of some of the jellies at the Birch Aquarium at Scripps. The first photo is a small medusa of the mysterious Black Jellies that periodically turn up on our beaches and and in our bays in San Diego. I love the brilliant orange color. 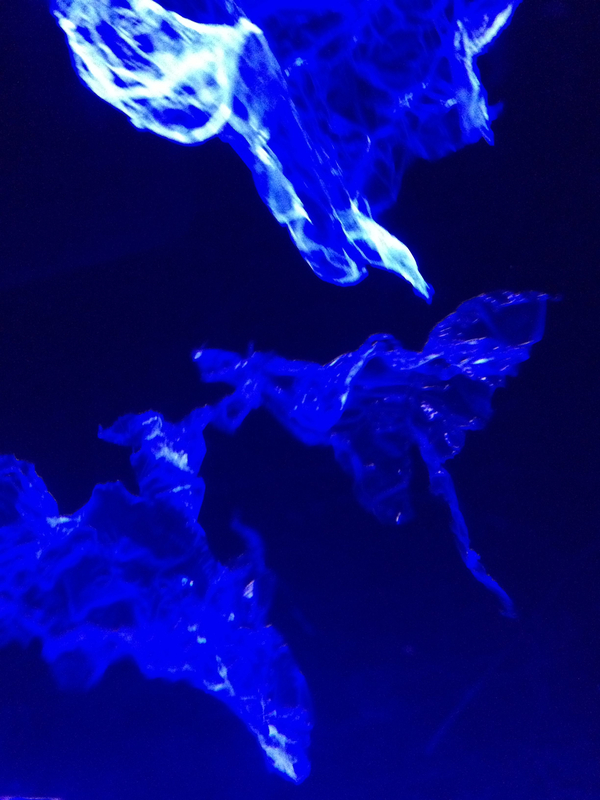 The second photo shows some Pacific Sea Nettles, and then one of my favorite displays – bits of plastic! I enjoy watching the public’s reaction to this exhibit. 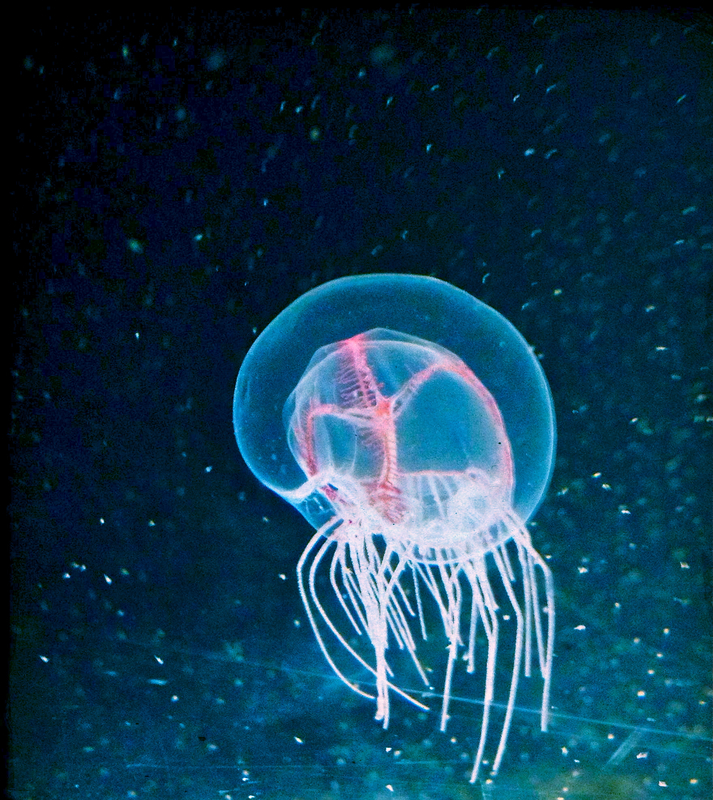 It often takes people a little while to realize they are not looking at a species of jelly – this is because floating in seawater the plastic looks and floats like some transparent jellies. 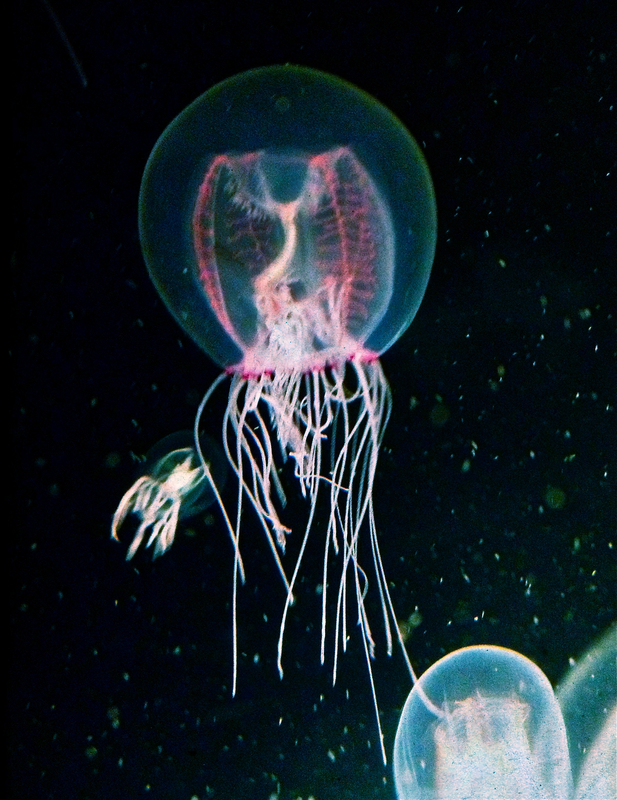 Many ocean animals eat jellies and mistake plastic for food. 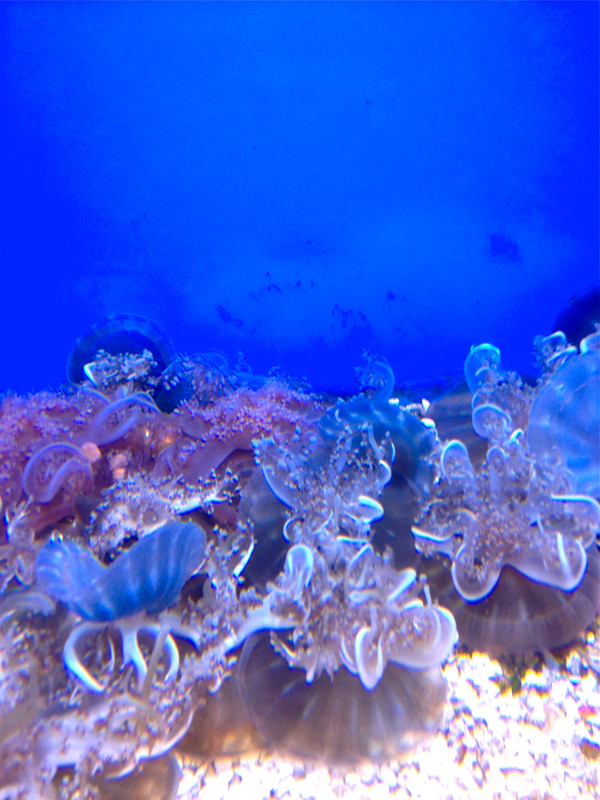 Next are a couple of photos of my favorite small and transparent, local Bell Jellies. The last picture shows some of the Upsidedown Jellies that sit on the seafloor and get their food from the algae that lives inside them. It is a very clever adaptation allowing the jellies to stay put. This entry was posted in environment, General, jellies, marine, Nature, ocean, outdoors, photography, San Diego and tagged aquarium, Birch Aquarium, California, environment, invertebrate, marine, Marine invertebrates, nature, ocean, outdoors, San Diego, Scripps, Scripps Institution of Oceanography, sea, United States, wildlife. Bookmark the permalink.